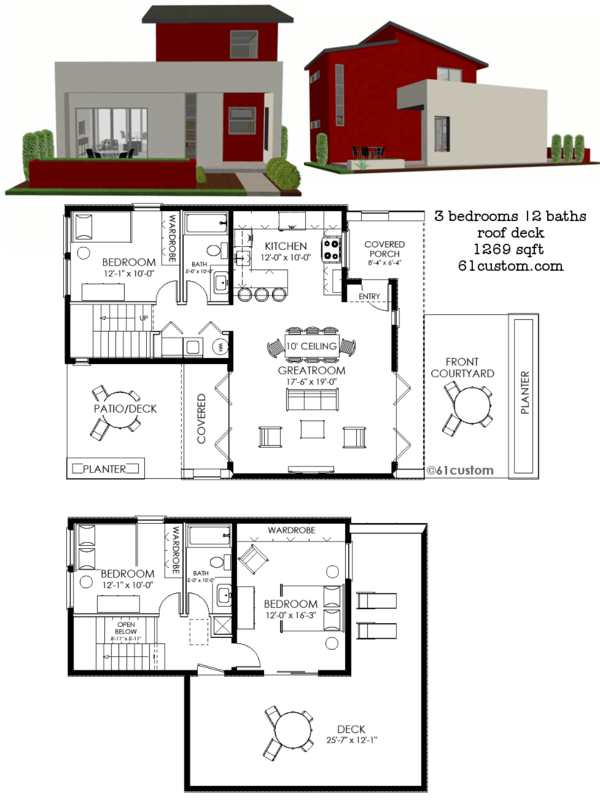 1269 sq.ft. 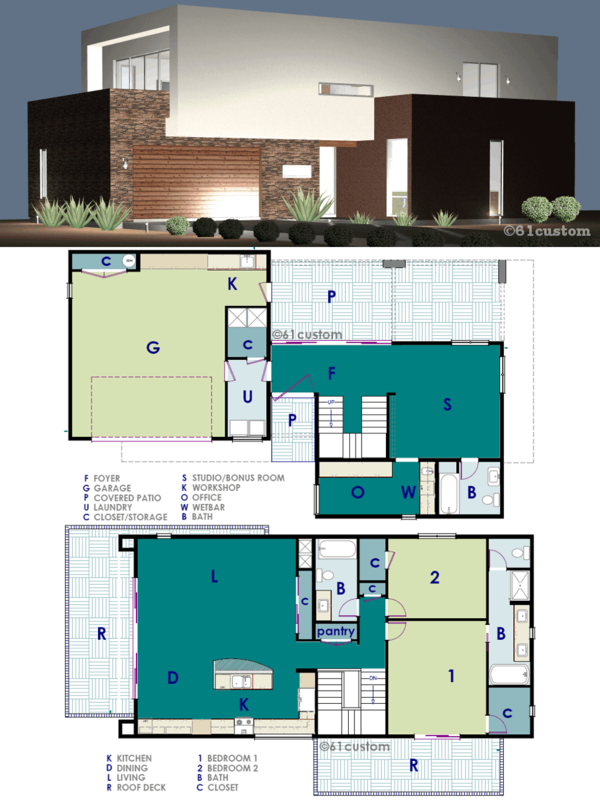 contemporary small house plan with three bedrooms, two baths, a front kitchen and an open concept layout. Large doors bring the outside in, and a cozy front courtyard welcomes guests. 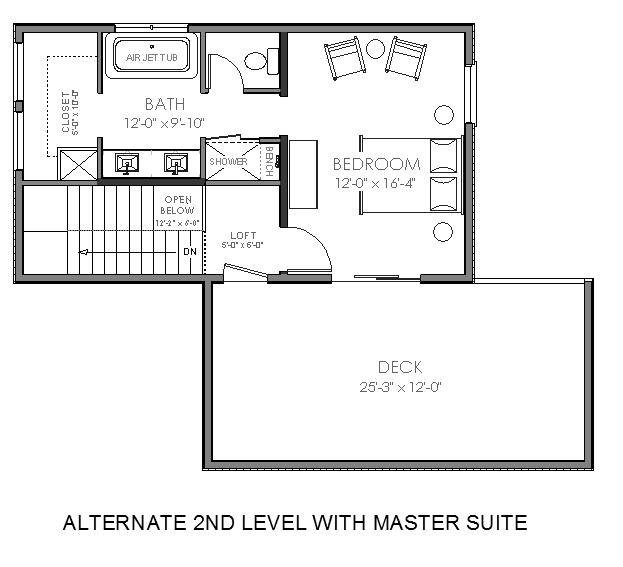 This 1269 sq.ft. 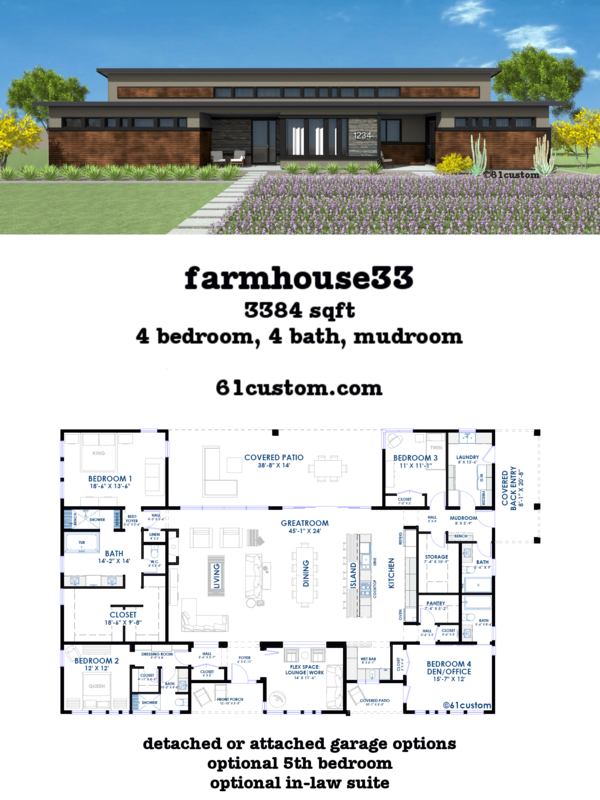 contemporary small house plan is perfect for a starter home, downsizing, narrow lots, infill lots, a cabin, beach house, or larger tiny house living. 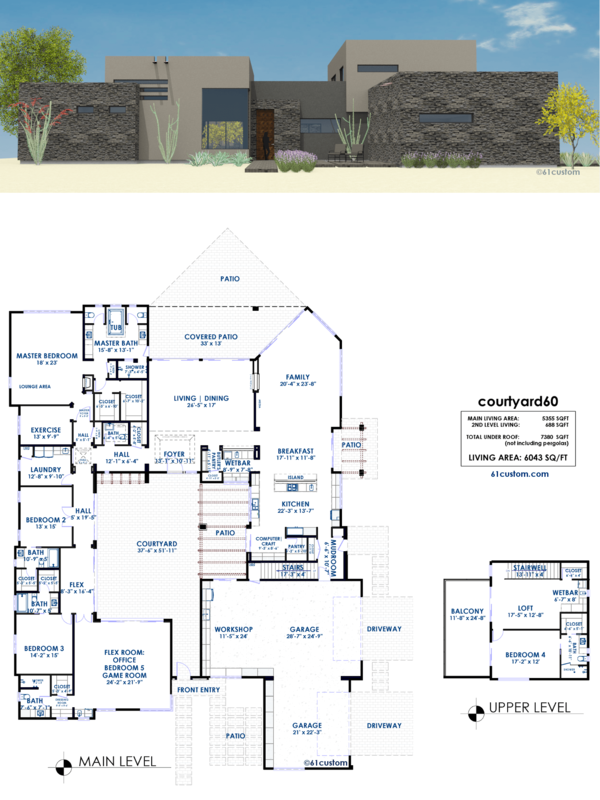 This house plan has an open great room layout with three bedrooms and two baths. A raised planter creates a front courtyard and a second planter at the back is a great place to plant fresh herbs for your kitchen. There is also a large deck on the second level. The generous outdoor living areas take advantage of warm climates where you spend considerable time outside. 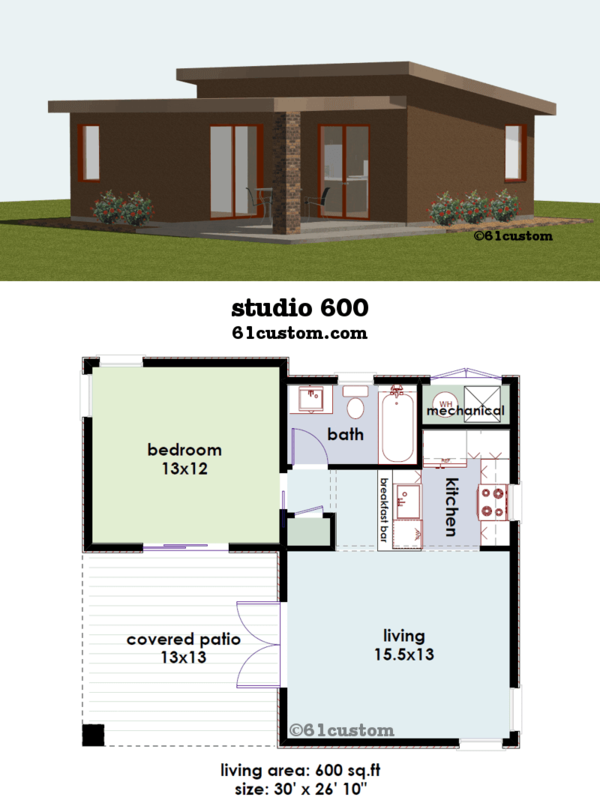 The transitional exterior eliminates the roof deck in lieu of a pitched roof. 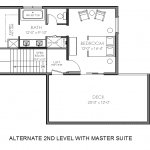 The master suite option replaces the third bedroom with a master bathroom including dual sinks, separate tub and shower, and air jet tub, along with a large walk-in closet.